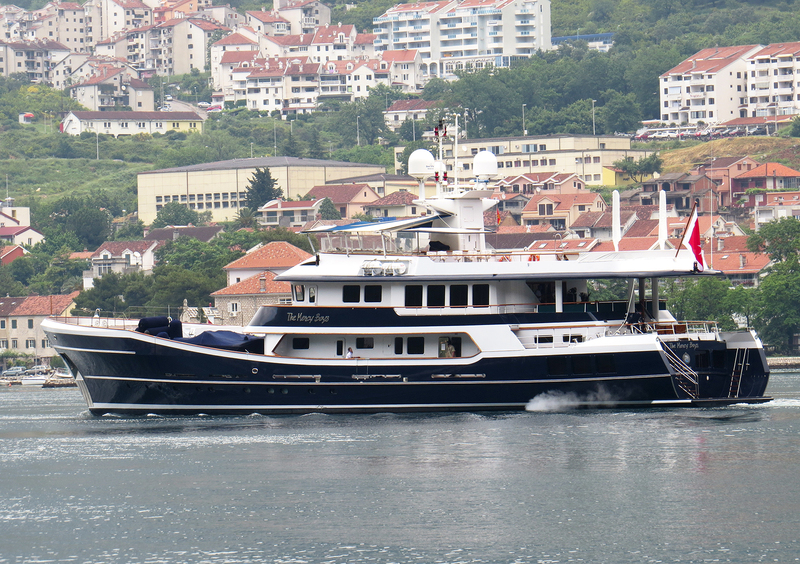 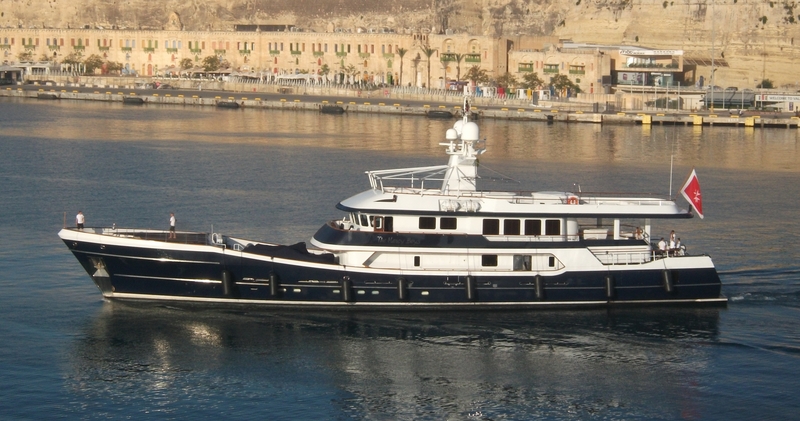 Motor Yacht The Mercy Boys (ex Shandor) is an expedition style yacht built by the respected builders Schweers Shipyard in 1985, refitted in 1999, as well as 2008 and 2014. 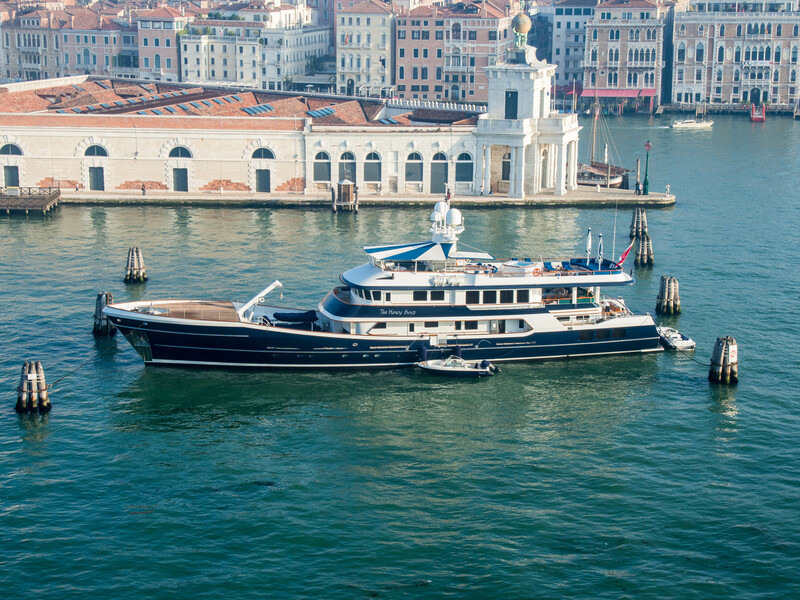 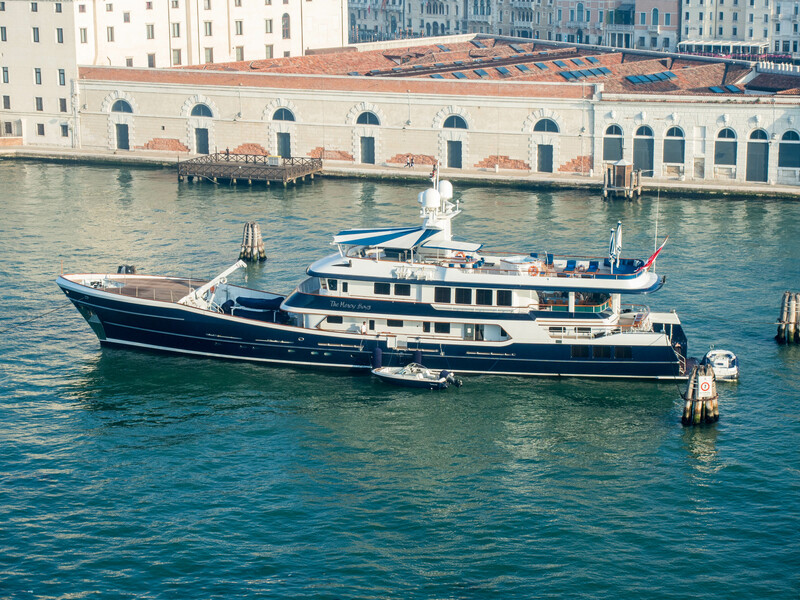 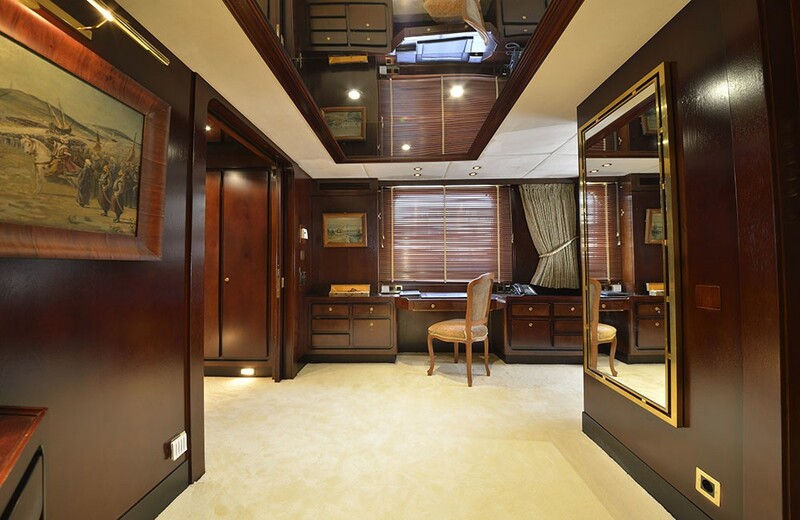 Luxury yacht The Mercy Boys measures 49m (160,8 ft) in length and is able to accommodate up to 12 guests in 5 spacious cabins. 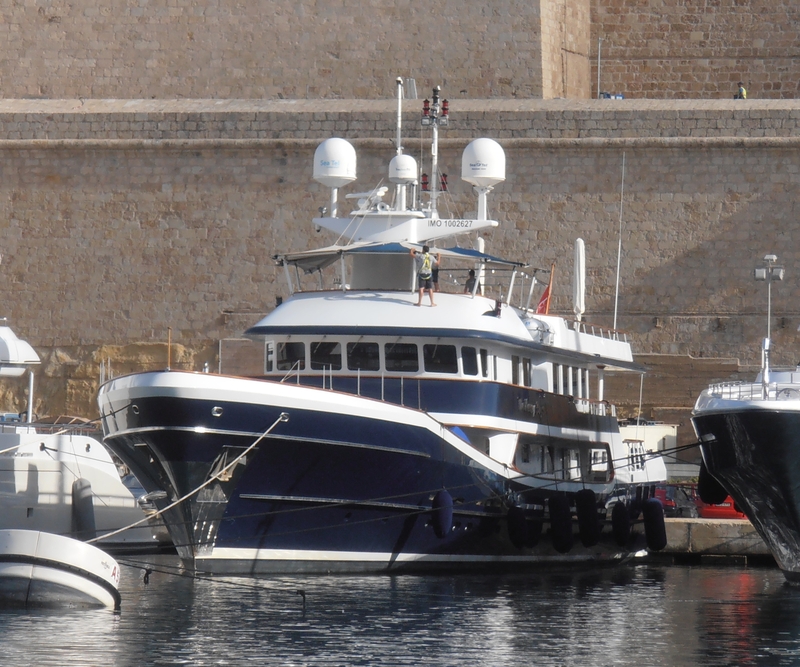 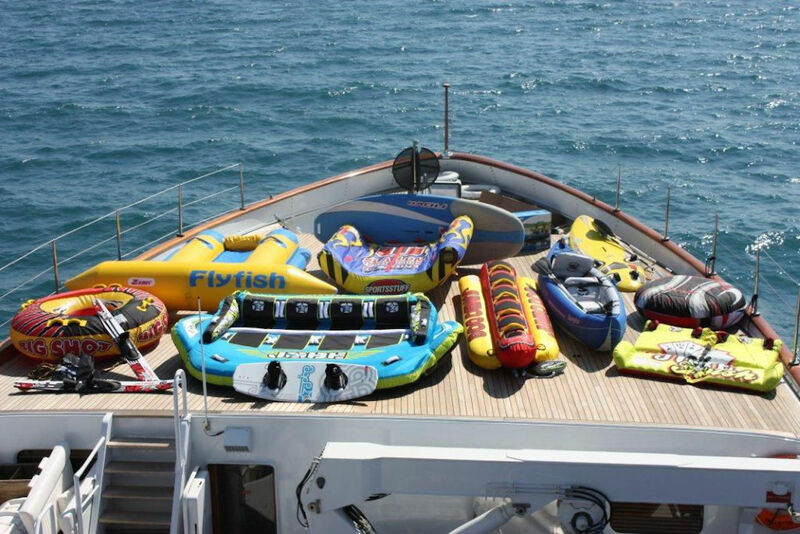 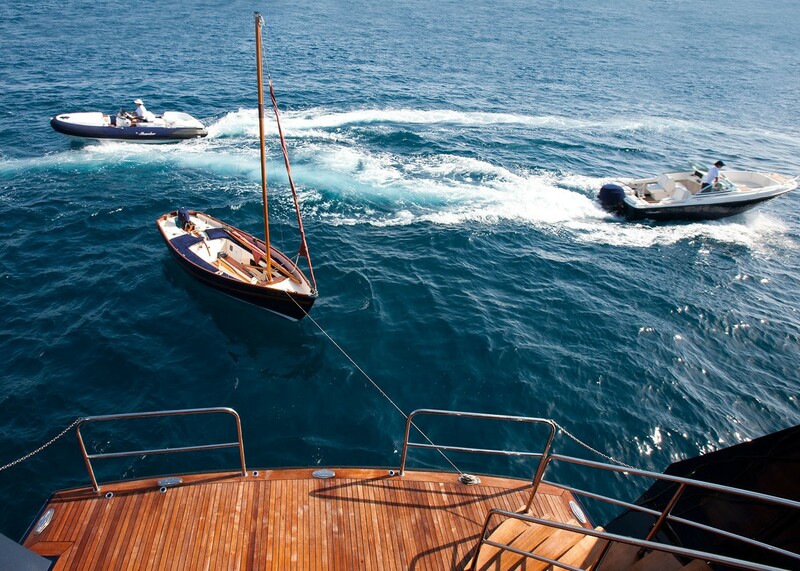 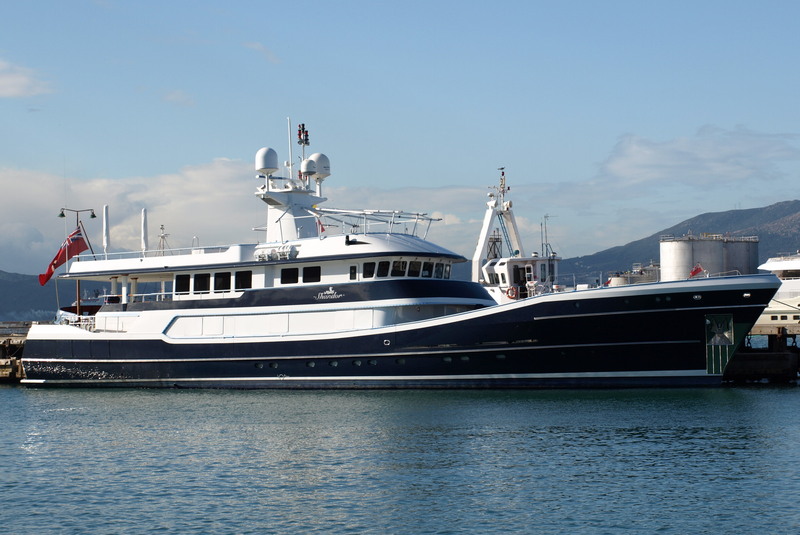 The yacht is based in the Western Mediterranean and is very well equipped with a superb range of tenders and water toys. 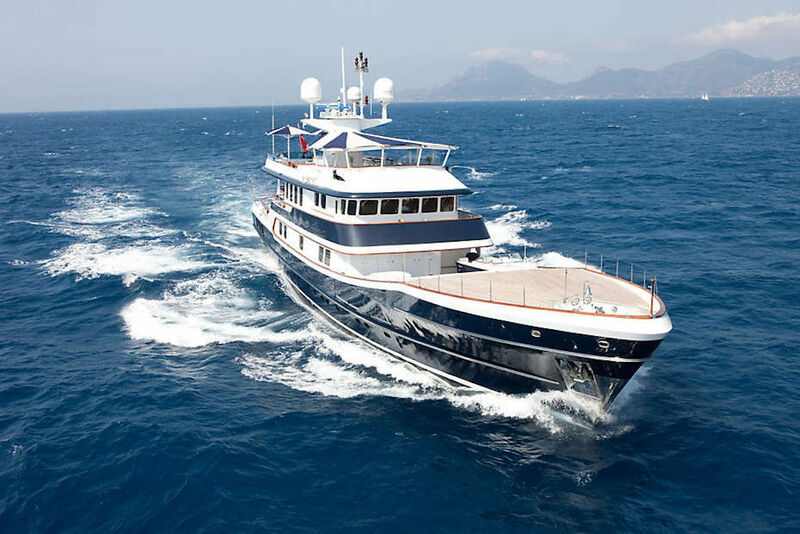 M/Y The Mercy Boys is the first true expedition Yacht, offering you the opportunity to explore the remote corners of the world in comfort and safety. 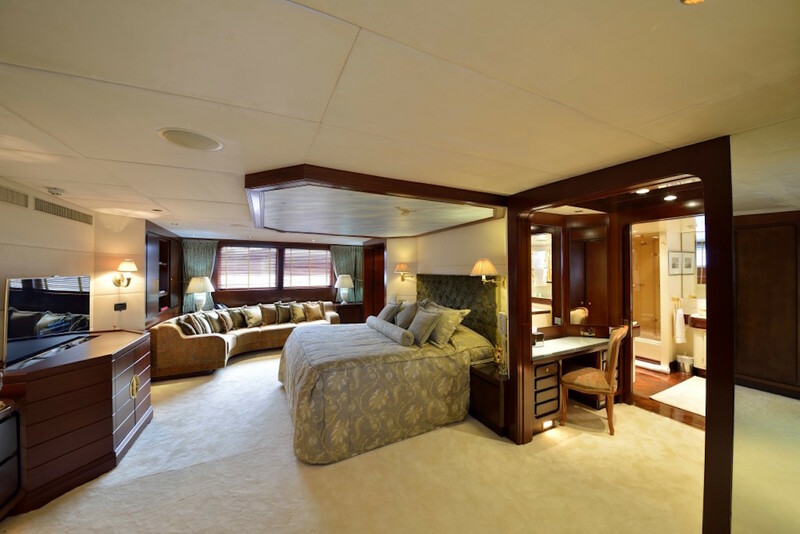 Yacht The Mercy Boys has a classic interior, with lots of character and charm. 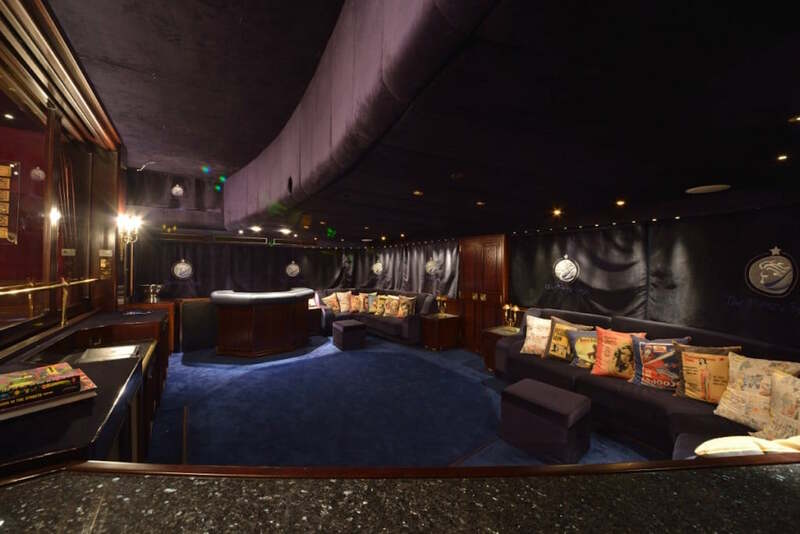 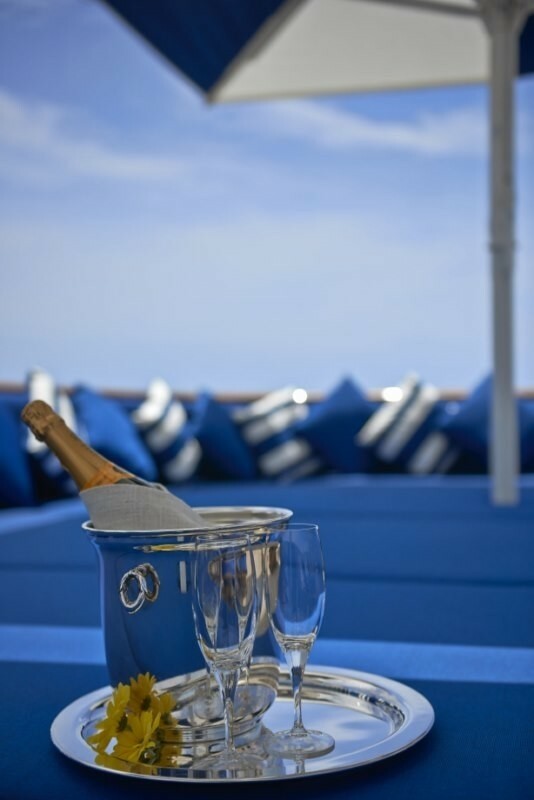 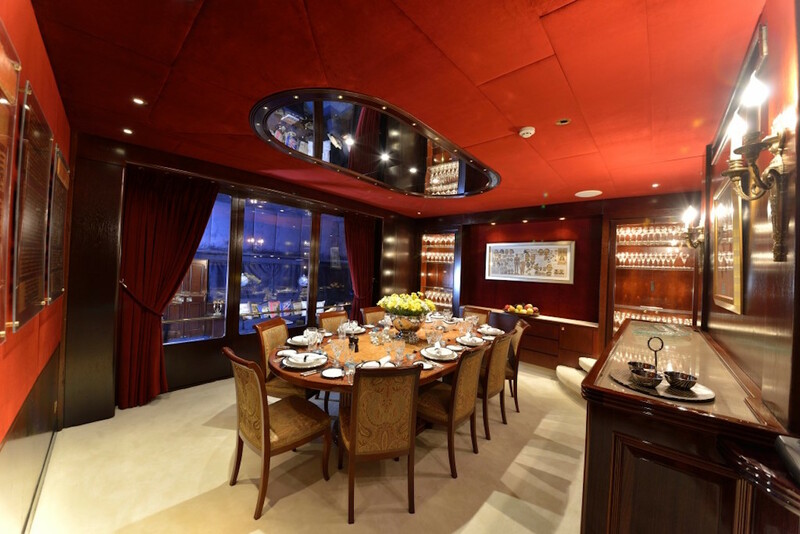 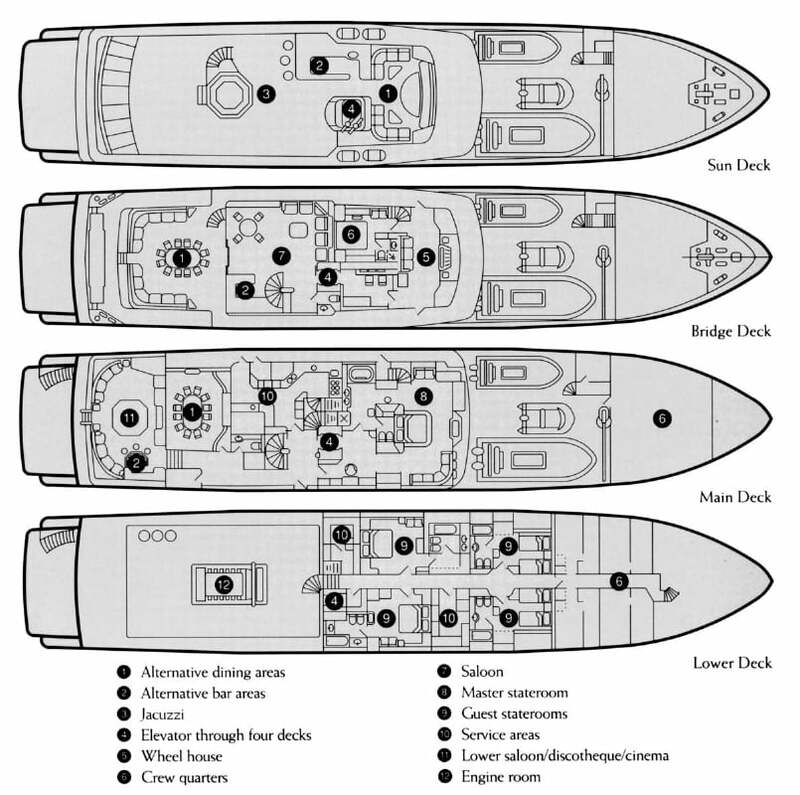 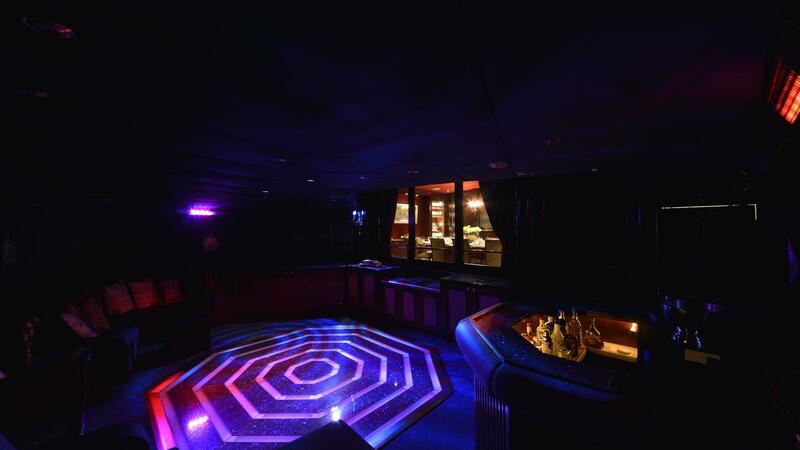 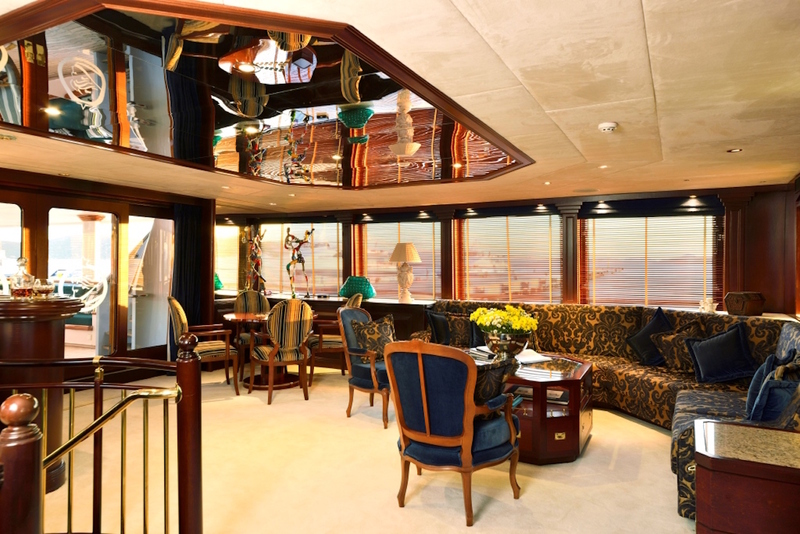 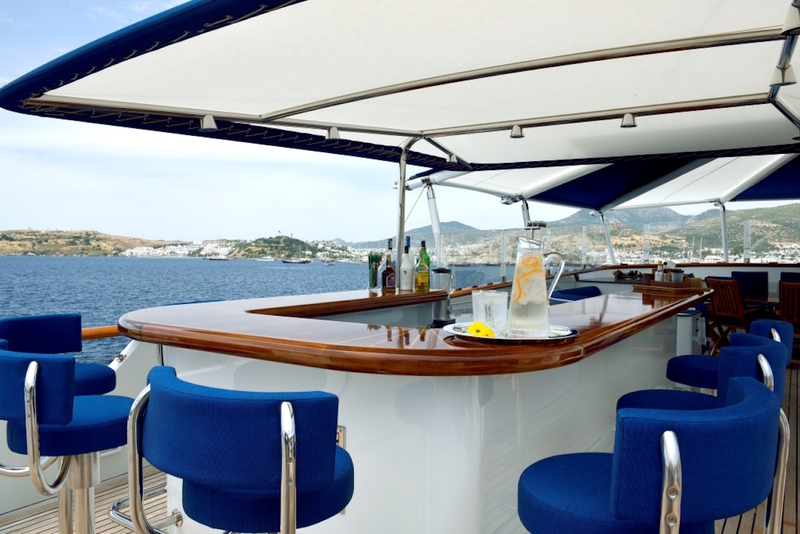 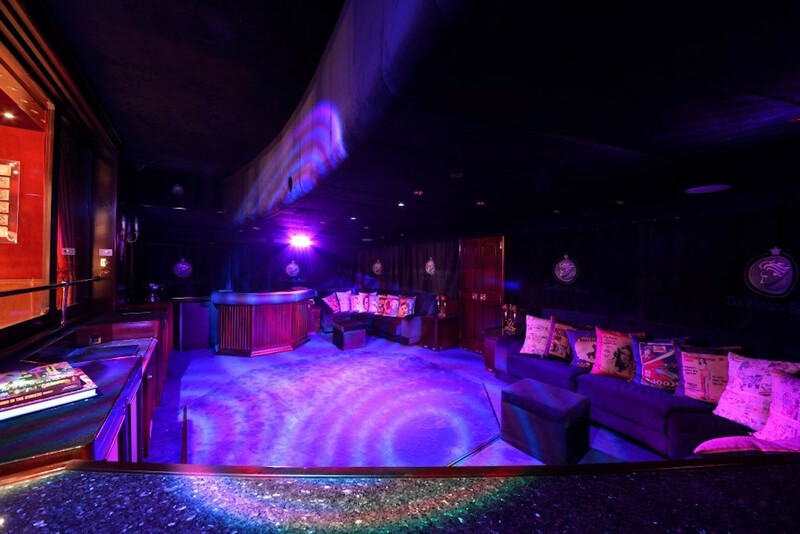 On the main deck there is a large comfortable salon with a bar area and a separate dining room, and on the bridge deck, there is a good sized, elegant sky lounge and a disco! 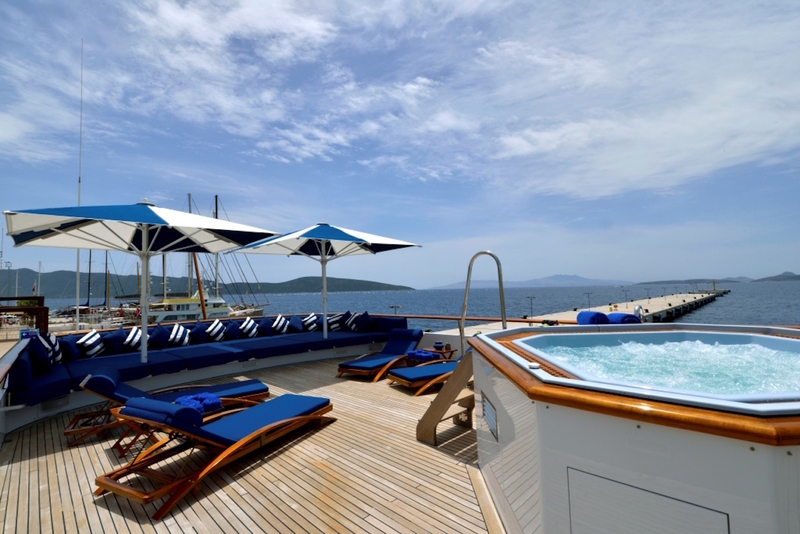 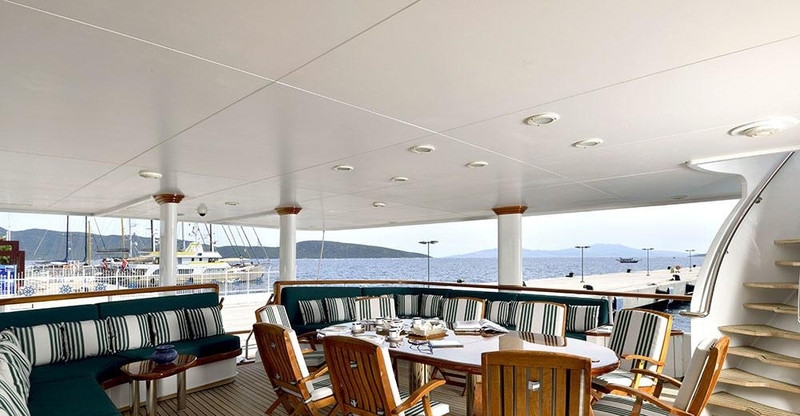 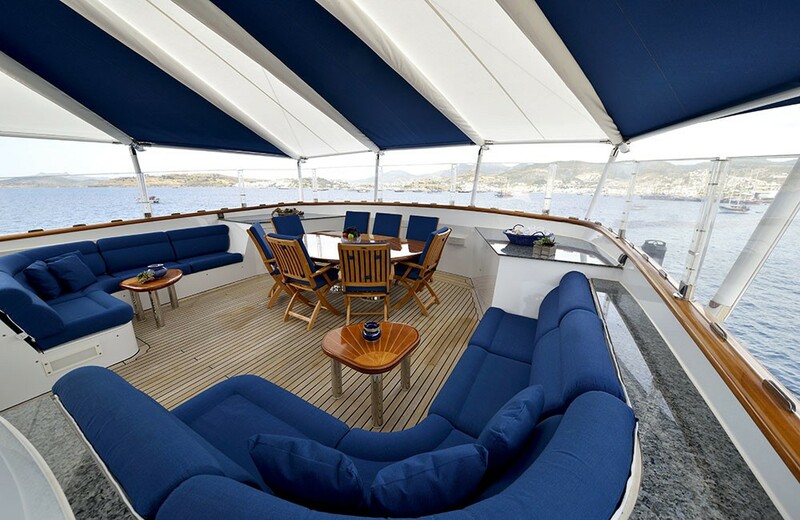 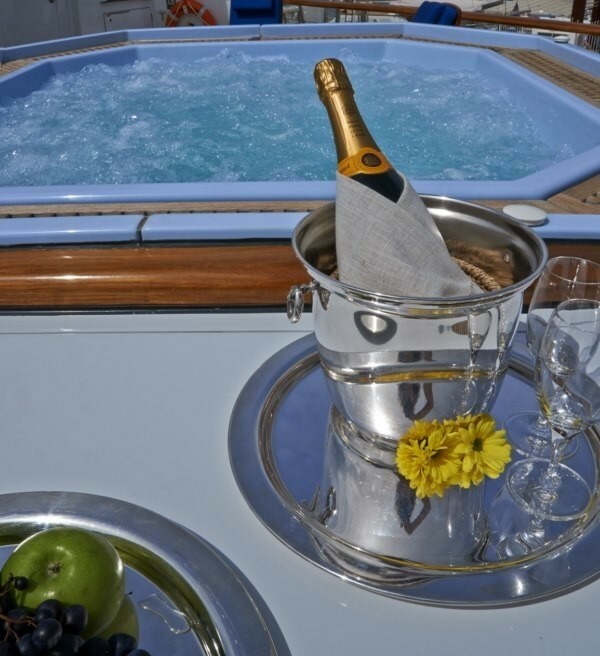 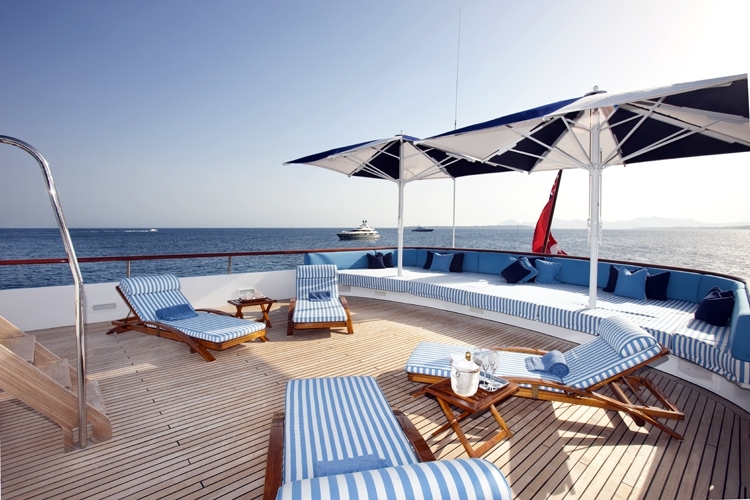 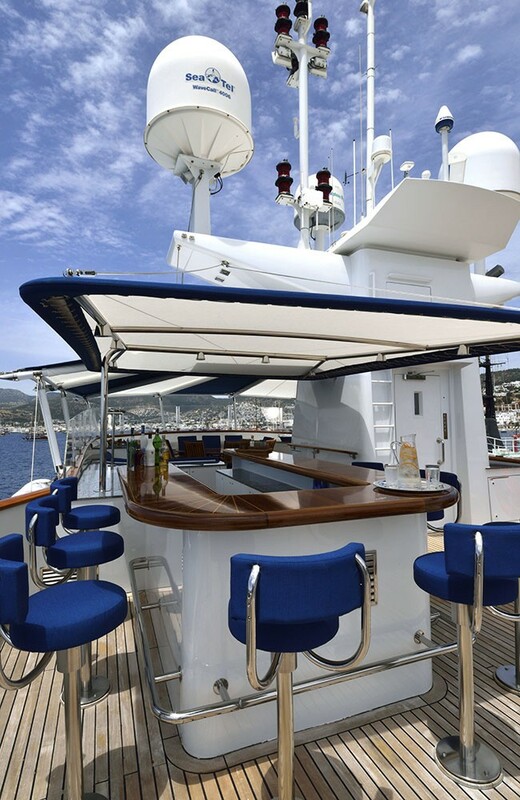 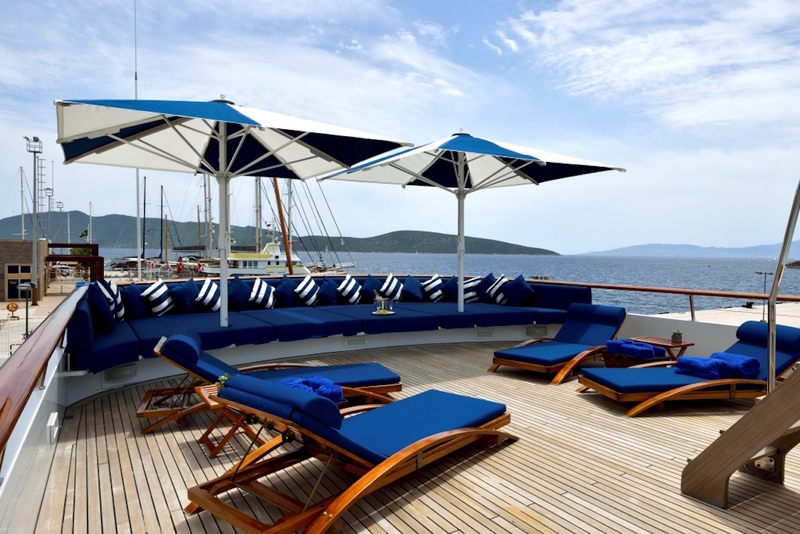 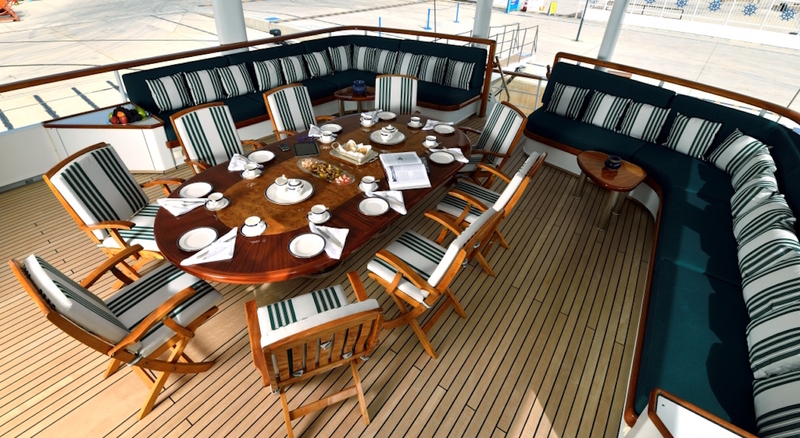 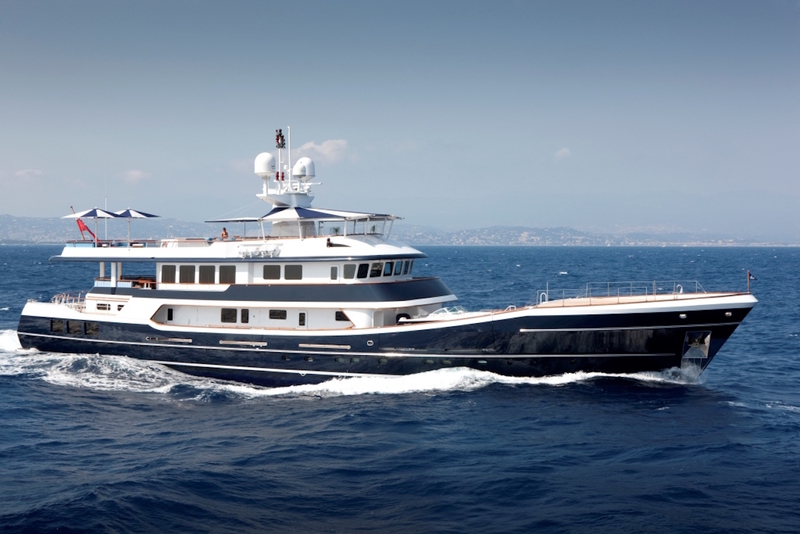 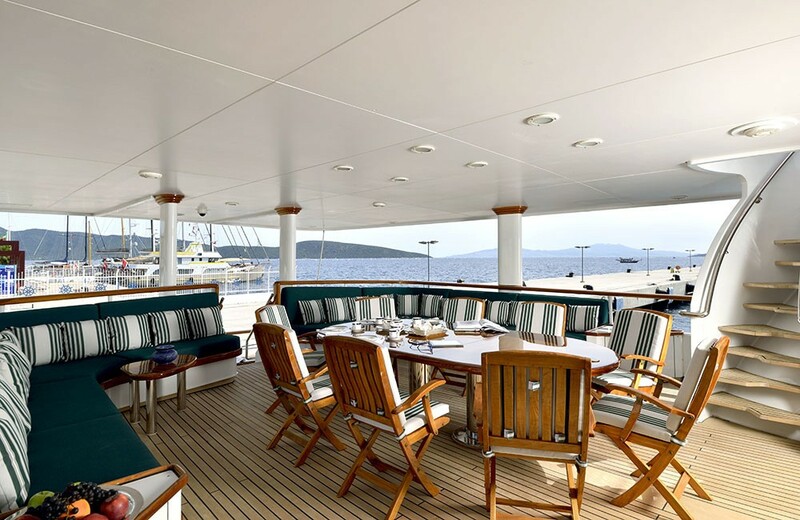 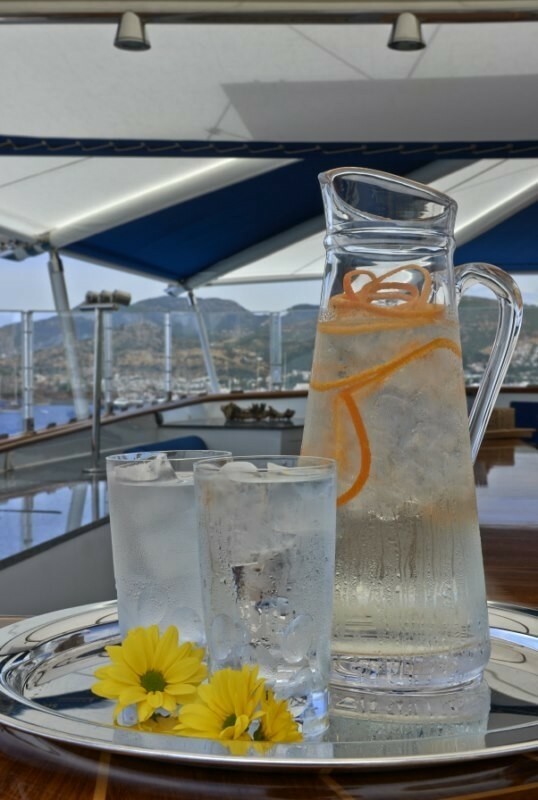 Charter yacht The Mercy Boys also has good external space with large dining areas aft on the main deck and bridge deck, and a vast sun deck with a bar and Spa Pool, and a further table for alfresco dining with a magnificent view. 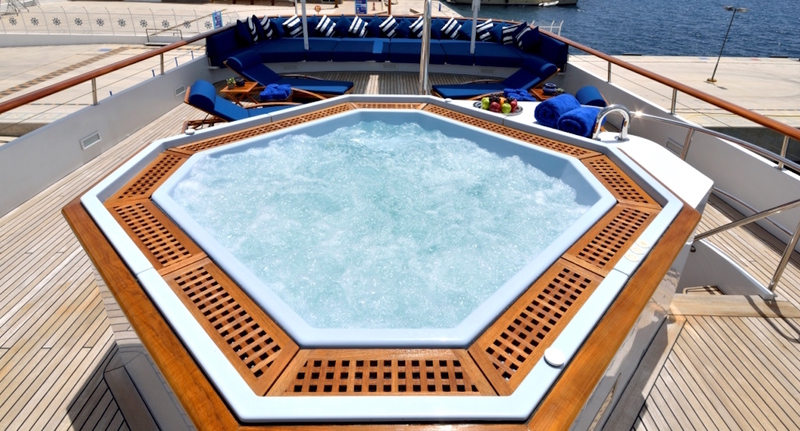 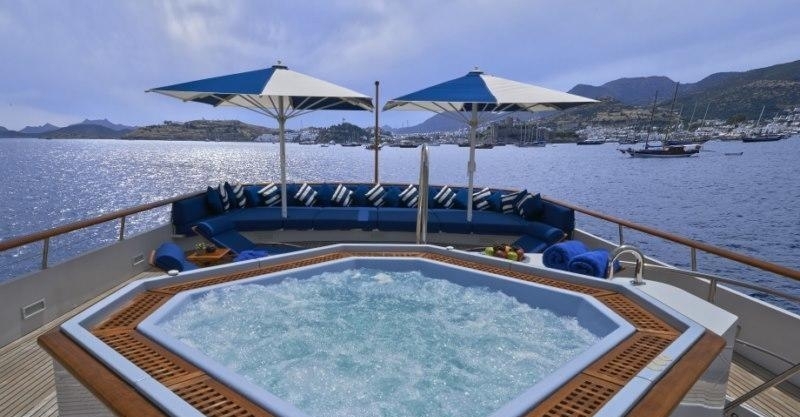 The swim platform gives you easy access to the water, so you can board the tenders effortlessly, or jump into the water to enjoy the fabulous range of water toys. 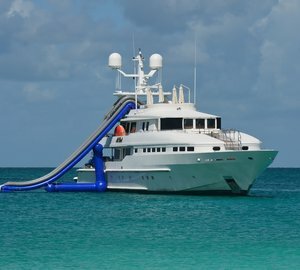 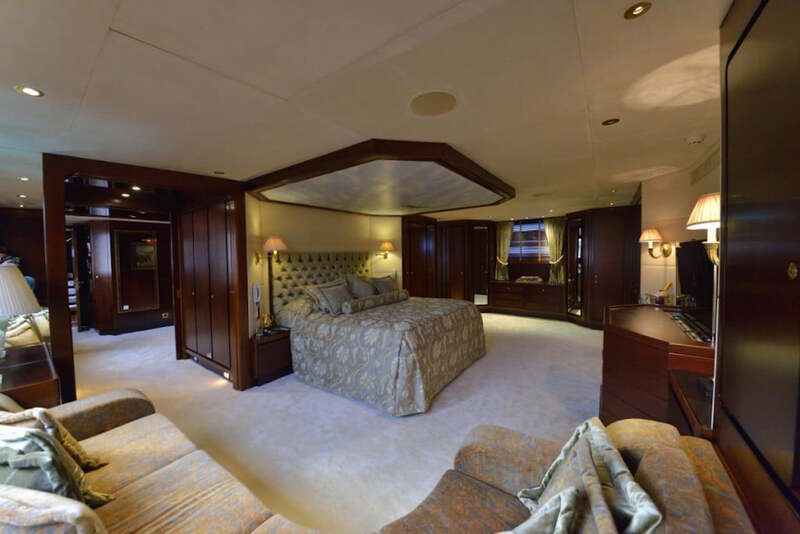 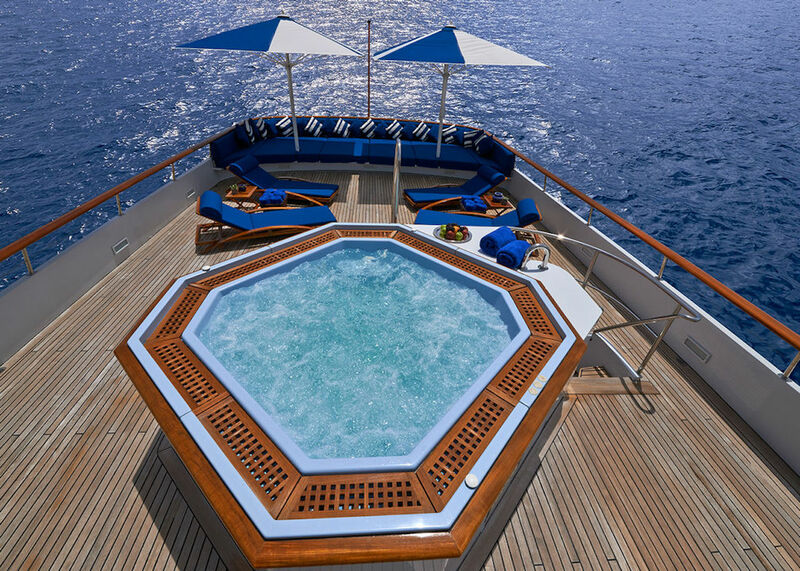 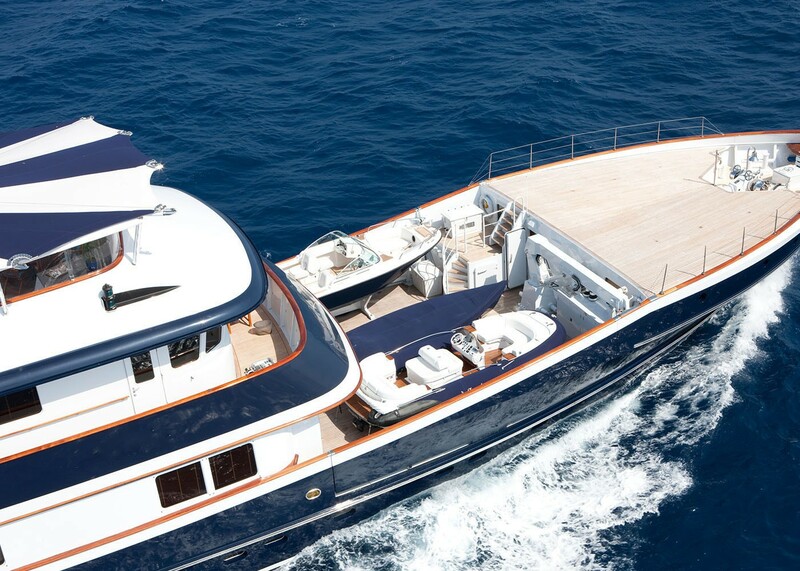 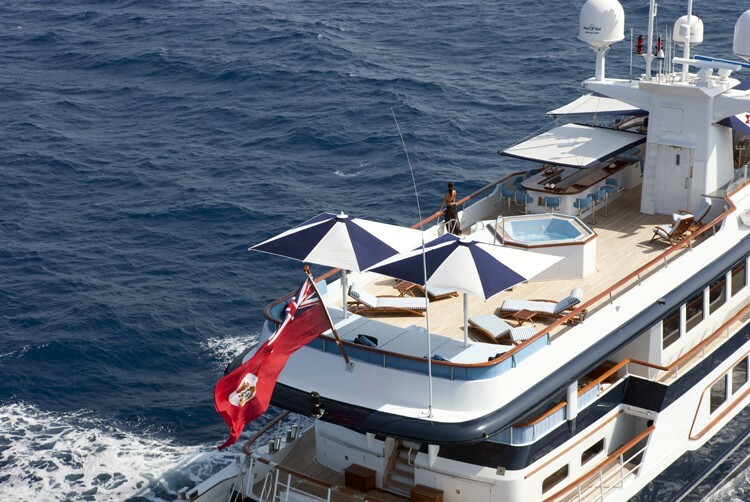 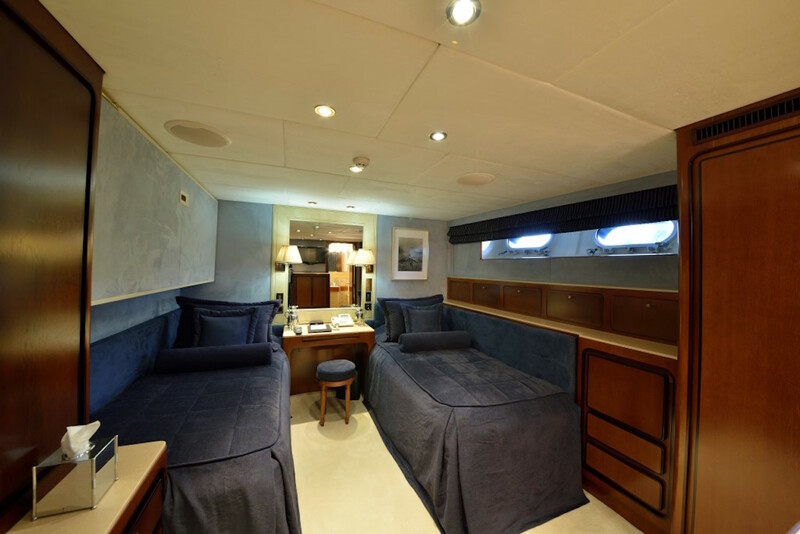 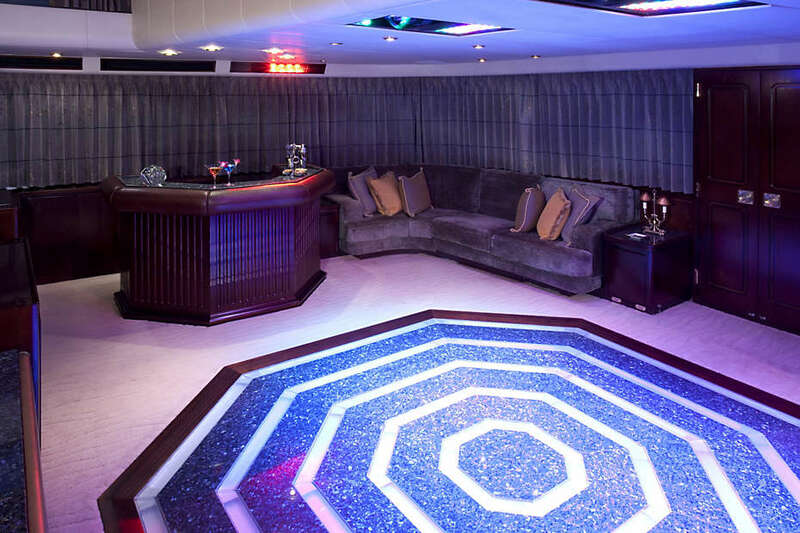 The Mercy Boys motor yacht offers a range of indoor facilities, including Wifi, TV and a disco, and a fantastic selection of water toys including four Tenders, 2 Ocean Kayaks, Water-skis and Wakeboards, 2 Windsurfs, an Inflatable Biscuit, Fishing Gear, and Floating Golf Balls with a Driving Mat. 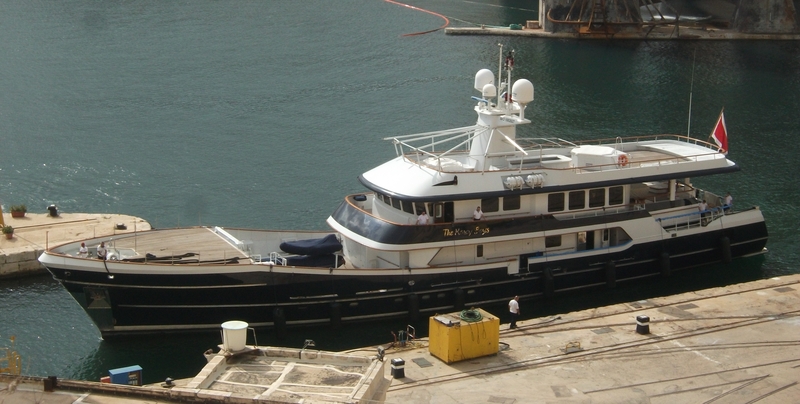 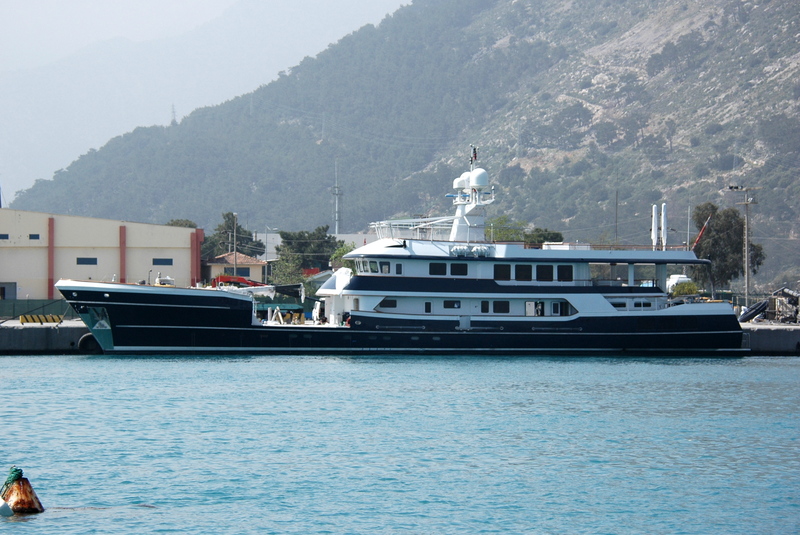 The Mercy Boys is 49m in length (160.8 ft), with a beam of 9.2m (30.2 ft) and a draft of 4m (13.1 ft). 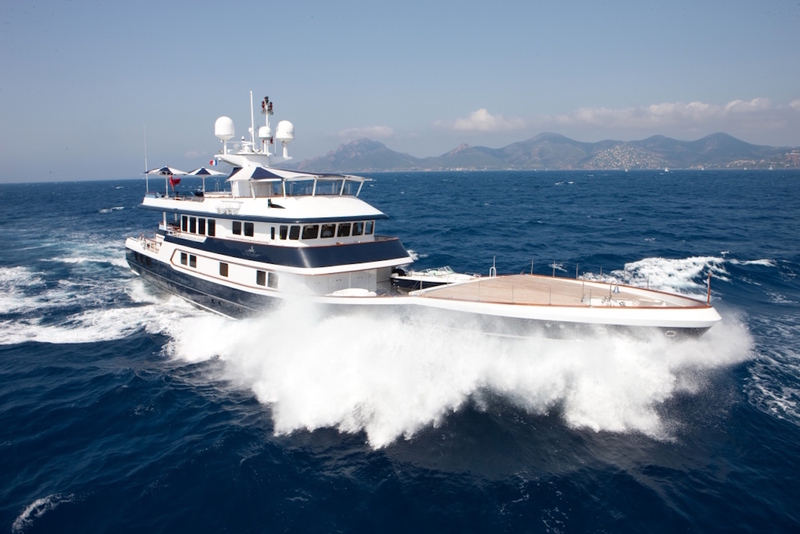 The Mercy Boys cruises at an average speed of 13.5 knots and is surprisingly fuel-efficient consuming only 250 litres per hour. 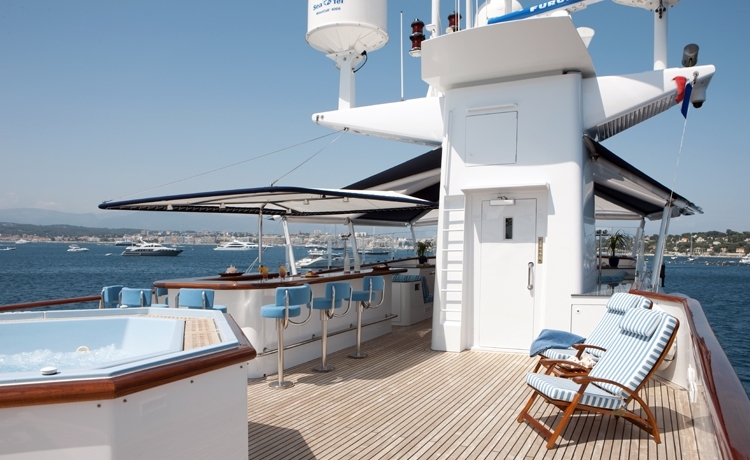 The Mercy Boys is able to accommodate up to 12 guests. 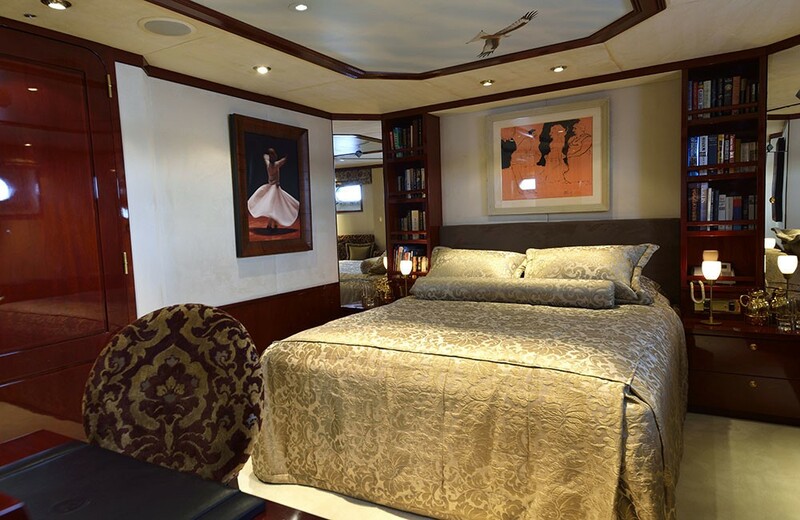 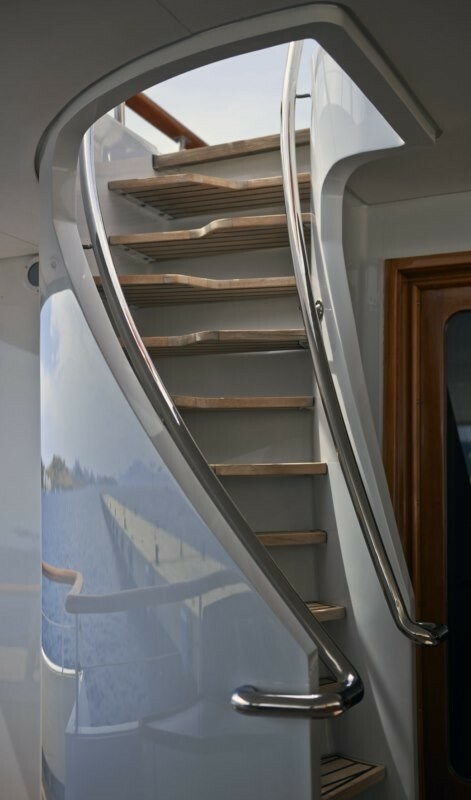 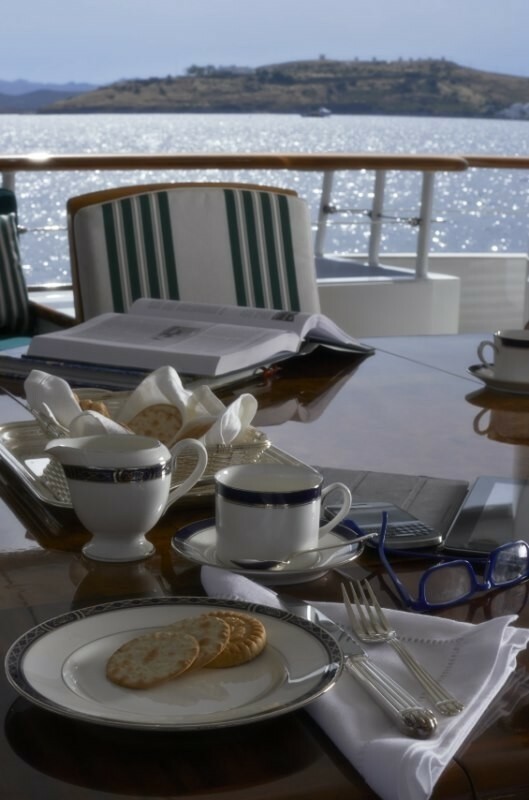 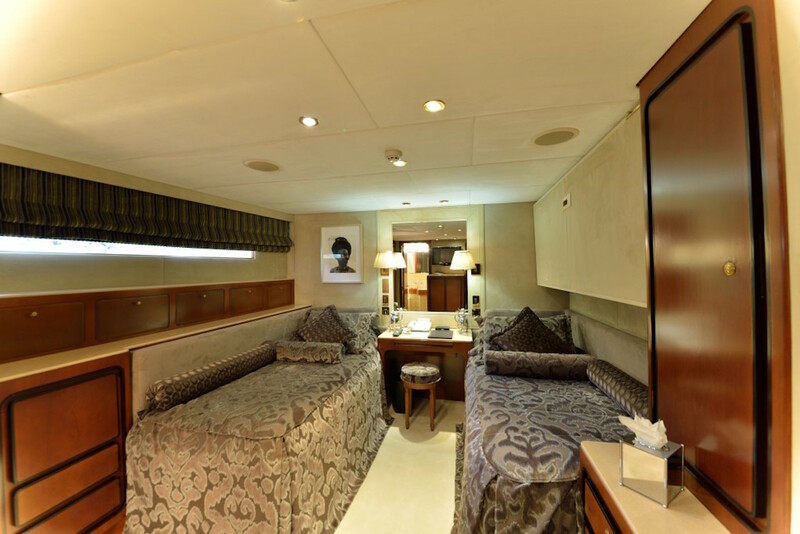 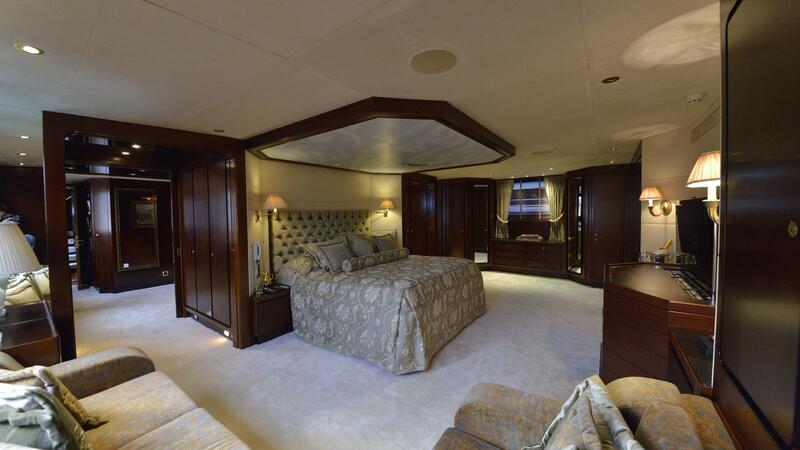 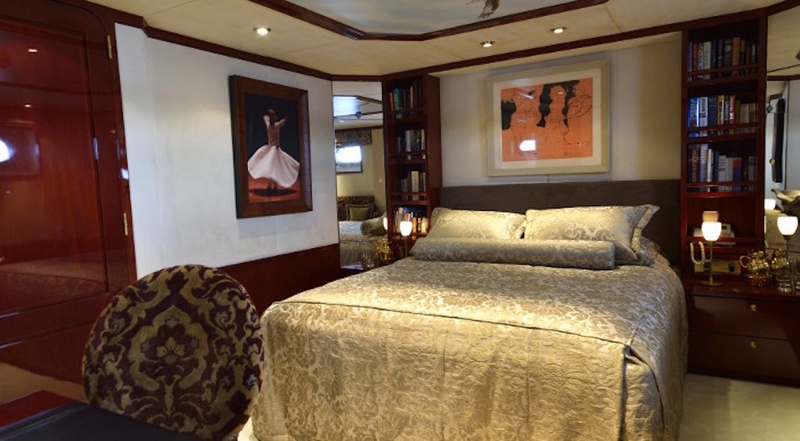 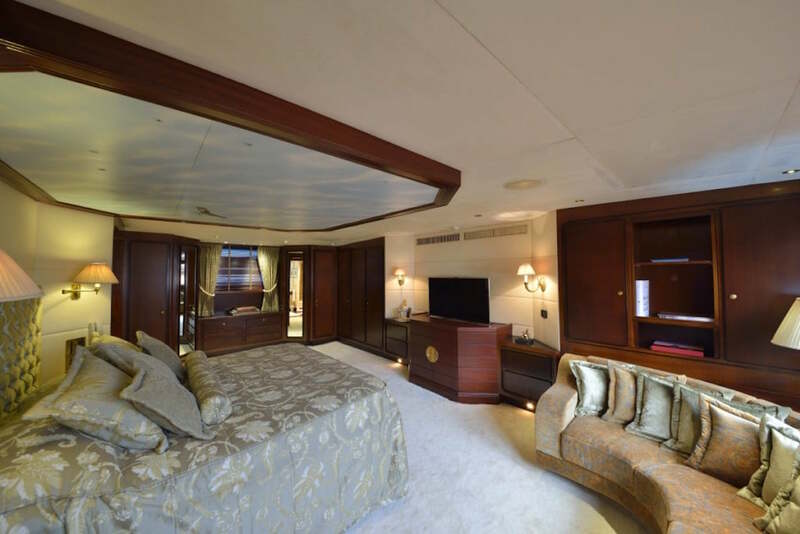 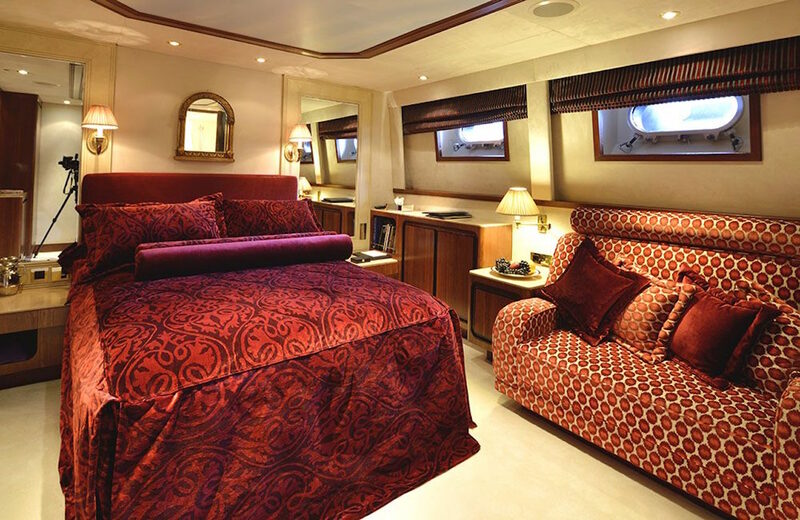 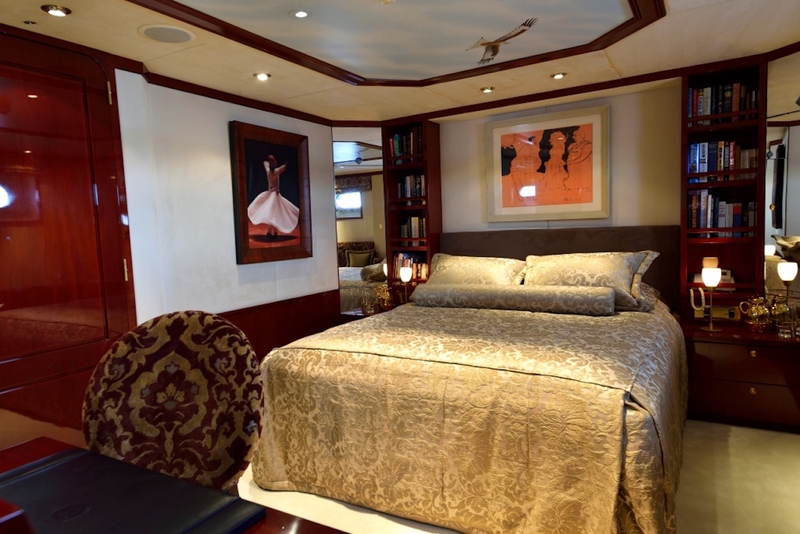 There is a spacious Master Cabin located on the main deck with full ensuite facilities, including bath and shower, ample wardrobe space, office and settee. 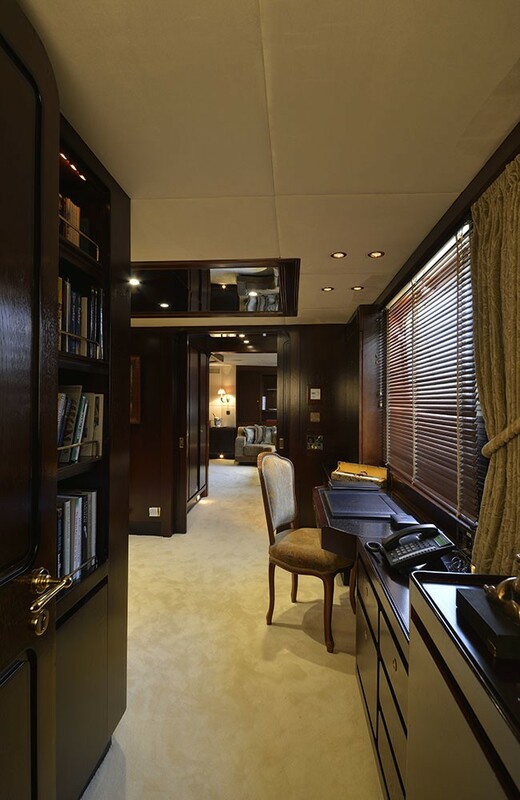 There are also two double cabins, each with ensuite facilities and settee, and two twin cabins, each with Pullman beds and ensuite facilities.